Unlock your Phone with a FREE Code from us! 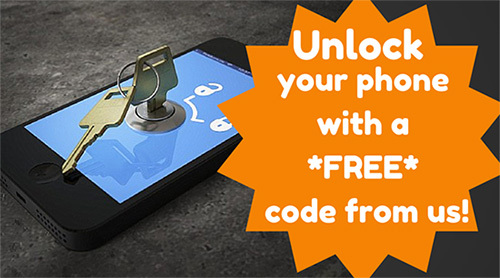 If you’ve been thinking about unlocking your phone so that you can use it on any GSM network, but simply haven’t got around to doing anything about it, here’s an added incentive: Film the process of you unlocking your phone, and we’ll give you an unlock code absolutely FREE! It’s simple. All you have to do is video the process of unlocking your phone. You can do it by yourself or ask a friend to help you. To qualify, simply email us at [email protected] and we’ll let you know if you are eligible for the FREE unlock code. The only reason why you may not qualify is if we already have a suitable video testimonial for a similar phone. So please be sure to check with us first before you start to create your cellphone unlock video masterpiece. Video how to order the unlock code from UnlockBase: Just film yourself going through the order process online to obtain the unlock code. For security reasons you can blur out your email address and personal information. (this step is NOT mandatory). Video yourself receiving the email from us: When you receive an email back from us, be sure to film the process of you opening the email and reading it. (Note: the video can start with this step if you did not record yourself ordering the Unlock Code on our website. Video what you do with the code: This is the most important part of the video, the entering of the code into your phone. This step usually involves several processes (just follow the guidelines of our Code Entry FAQ). You will need to follow email directions and film all of it. Shoot Clearly and Keep it Simple! Remember to keep your video as simple and straightforward as possible. Shoot in clear lighting conditions and make sure any sound is not muffled or inaudible. We are not looking for a feature film, just a short and easy to understand video of how to obtain the unlock code for your particular cellphone model. Are You a Writer for a Blog / Magazine? Do you own your own website or blog? Are you a writer for a magazine? If so, please contact us to find out more about the perks and privileges you can receive by giving us some good PR about our firm and by all means share with your audience your own experience in unlocking your phone with UnlockBase . Want to Give Us a Testimonial? If you’re willing to provide a Video Testimonial about our services, we’d love to provide you with a Free Unlock code or Discount. At UnlockBase, we also offer a variety of other ways to receive a Free Unlock or Discount. You can do this by mentioning us on Facebook or Twitter, by leaving positive messages about us on various forum communities, via testimonials on third-party platforms etc, we will always reward your loyalty and support.